The Fender American Vintage '64 Telecaster Pickup brings warm, vintage style tones to your telecaster. Accurate to the early '60s single-coil telecaster pickups, this American Vintage '64 set offers hotter, stronger Tele twang with crystal clear tone and versatility suitable for any musical application. 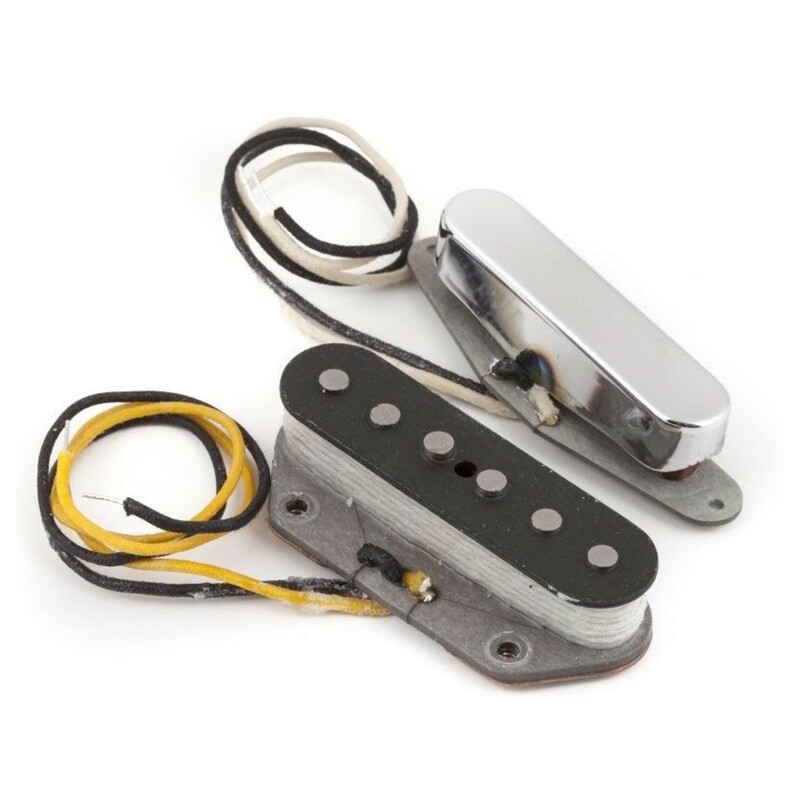 Featuring authentic bobbin construction and original-era cloth covered wiring, these pickups are wound to precise specifications to bring you the best tone with traditional Fender performance and tonality.